Last week was a long week in this city. Our building is old and so was our boiler. So when the boiler broke last Tuesday, you can imagine the fun that caused. No heat or hot water for five days. I learned a new skill of taking a bath using only water from the tea kettle. Its been a real experience. Luckily the boiler has been replaced and the hot water is back, but we we are still waiting for heat due to an underground pipe problem. This boiler seems like a real nightmare for the people working on it. Our building supplied us all with space heaters and I have more blankets then any person should ever own, so we are perfectly warm. Its definitely been a week where I have been reminded of all the things I take for granted and it has made me realize that not everyone is lucky enough to have heat and hot water on cold nights. So it looks like there is a big blizzard on the way for New York City. I already got called out of work due to the building closing early. Here are my survival supplies. Big Pile of library books and a window to watch the snow fall. TEA!!! Lots and lots of it and my planner to map out some goals for this beautiful year. 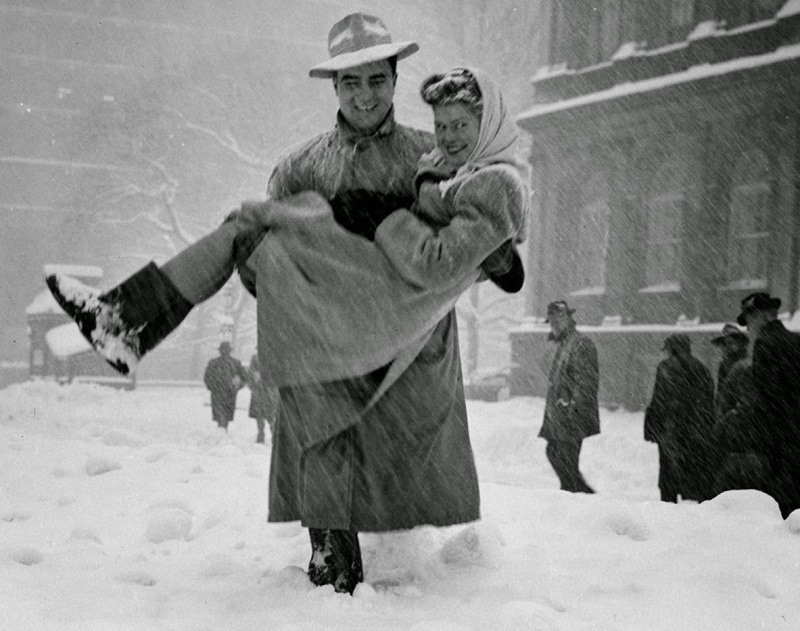 Hopefully this storm will be as romantic as this 1947 storm below.